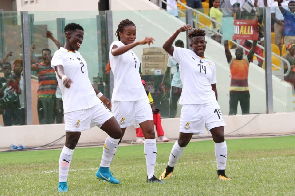 Ghana’s Black Queens defeated their Algerian counterparts to secure an opening day win at this year’s African Women’s Cup of Nations. The Queens took a 12th minute lead courtesy Gladys Amfobea’s long range strike, and never looked back. The Algerians put up a brave fight throughout the contest, but it was the Queens who squandered numerous opportunities to extend their lead. Ghana are seeking a first ever AWCON trophy, and will next face Mali on Tuesday. In the other group A game, Cameroun recovered from conceding first to record a 2-1 win against Mali. The PFAG commends the Black Queens on a positive start. We remain here with you and for you, as you strive to win the title!